Typically, hiring managers at schools have hundreds of resumes to sift through so spend just seconds on a resume — unless something catches their eye. Crafting a teacher resume that stands out might seem daunting, but we’re here to help. Here are our top five resume tips for candidates looking for a new teaching job. Since many schools require a teacher certification, including this section in your resume is a critical factor in passing the initial screen. Clearly highlight all relevant certifications, including the issuing State, subject, and grade bands. For any certifications currently in progress, include the expected date of issue. Make your information clear, structured, and place it at the top of your resume. Tailor your certification information to the specific job you’re applying to (these specifications are usually listed on the job posting). Prioritizing your teaching achievements is also important. This gives you the edge over just highlighting experience. What are your notable teaching accomplishments? When possible, qualify your accomplishments with data (e.g., percent increase of test score) or examples of extracurricular roles that helped your school (e.g., sports coach, debate team faculty advisor). List teacher certifications and content areas at top. If you're in progress of earning one, list it. A clean and well-organized resume is not only easy on the eyes (which is something recruiters are grateful for after going through so many resumes), it also shows a professionalism that can set you apart. Stick to simple templates, and use bullet points to describe achievements and primary responsibilities, so it is easier for hiring managers to skim. Consistency is also important! Here’s the golden rule — related items should be formatted similarly throughout. What does that mean? If you decide to bold the title of one section, bold the title of the other sections! Keep the font of the different sections the same. Keep the alignment the same. Clean, well-organized, and consistency beats fancy colors and typefaces any day! Creating a unique resume is not as hard as it seems. As I mentioned before, you want to tailor your content to the specific job you are applying to. Adjust the listed experiences to highlight your achievements and strengths most relevant to the resume reviewer. You also want to avoid obvious and expected duties. Generically describing that you’ve taught detracts your candidacy how can you make your experiences stand out? Proofreading your content is critical! Having a typo on your resume shows a lack of professionalism and care. If this is you being the best version of yourself, what will you be like in the classroom? Be obsessed with the details. Meticulously check grammar and spelling. Keep verb tenses and point of view consistent. Use parallel sentence construction. Do not use first person point of view, as it reads more like a diary entry than a resume. Do not include references (or a comment that you can provide them) – you can always provide them upon request. Space is better used for highlighting your achievements. In terms of consistency, do not use more than two different fonts, as it may make reading your resume more challenging. Lastly, do not go over two pages! Demonstrate that you can prioritize and articulate the most impactful and relevant points in a succinct way. If you’re having trouble deciding what to cut out, consider trimming experiences that are less relevant or older. Want more tips? Check out the entire “Revamp Your Resume” workshop, along with different resume screening exercises and extra tips. 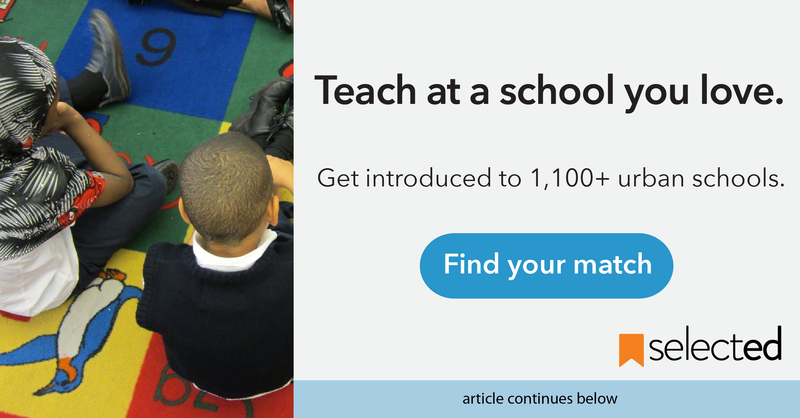 Selected also offers a free, professional review of teacher resumes within 24 hours. Check out our Resume Report Card service, where you can get specific feedback on how to improve your resume from one of our coaches.